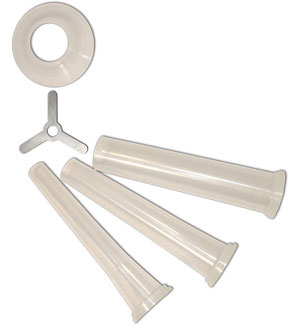 3 piece funnel set for manual meat grinders #8 - #32. Select size when ordering. Price may vary by size.